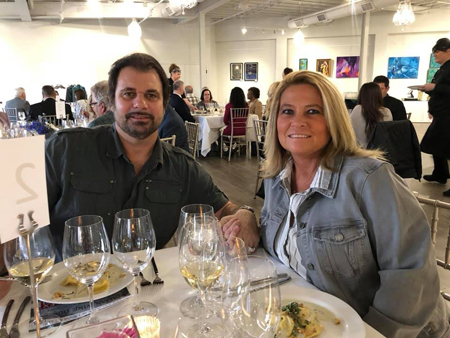 46 people turned out for the first LEX 530 Wine & Dinner Club Italian Wine Dinner on Tuesday, March 19, 2019. Over the years as I have become more involved with wine and my wine business, I find that I am eager to try new things such as wine tastings, wine dinners, different types and styles of wines, etc. I must also include the forming of the LEX 530 Wine and Dinner Club on that list. One evening back in the summer of 2014 I was discussing wine matters with my friend Jonathan Lutz, owner of the Uptown Kitchen Dinning Group. 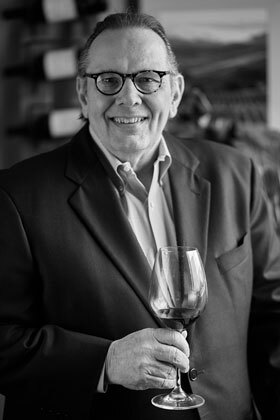 He came up with the idea of starting a wine club with other partner restaurants and the Tiedemann On Wines Wine Club was born. The club grew to include Uptown Kitchen in Granger, The Mark Dine and Tap in South Bend, and McCarthy’s Restaurant and Lucchese’s Italian Restaurant both in Elkhart. Our goal was to share good food and wine and build relationships with as many people as we could by using these four different venues. Guests at the wine dinner included Tom and Dana Pletcher, and Bill Johnson. Businesses and times change and eventually the club came down to partnering with only Uptown Kitchen. They have continued to have some excellent wine events and also offer club members discounts on wines. 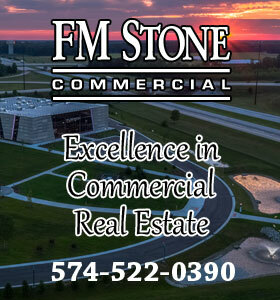 As my wine company began going through some re-organizational plans and as our venue LEX 530 developed, it was clear that we wanted to offer the community some expanded opportunities in food and wine. Thus the LEX 530 Wine & Dinner Club was born. Through the Club I hope to expand the number of various food and wine events through the LEX 530 venue and our partnering restaurant Uptown Kitchen in Granger. Further, I am expanding our wine company, Glenwood Cellars Wines’ presence in the area by participating at wine events at other venues. There is a Glenwood Cellars wine dinner at The Bistro on the Boulevard in Saint Joseph, Mich., on April 12, 2019. It will be featuring four of my wines at the dinner. 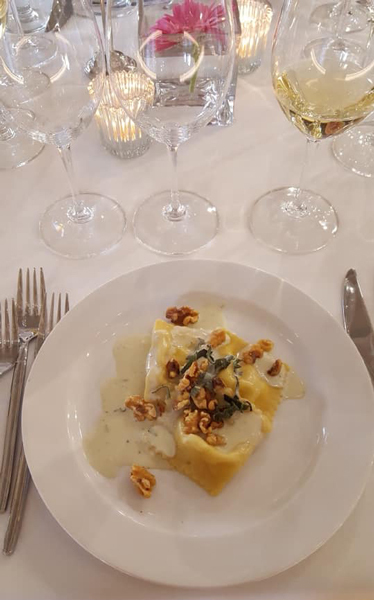 Second Course: Pear and Ricotta Ravioli, Toasted Walnuts, Sage, Gorgonzola Cream. Paired with the 2015 Castello di Ama, Al Poggio, Chardonnay Di Toscana. 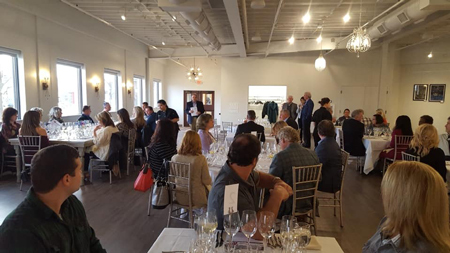 On Tuesday, March 19, 2019, we held our first wine club event at LEX 530. It was a lot of work to get ready for such an event. I never imaged it would require so much effort. However, our team rolled up their sleeves and worked very hard to make the event a success and I believe it was very much so. We do have a few things to tweak for our next dinner and we’ll try hard to make every event as good as we can for our members and guests. First Course: Oven-Roasted Tomato Caprese, Burrata, Basil, Aged Balsamic. Paired with the 2015 Pieropan Soave Classico. 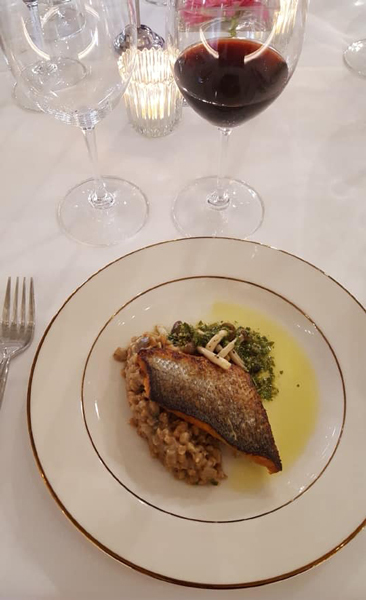 Third Course: Pan-Roasted Branzino, Mushroom Farrotto, Salsa Verde. Paired with the 2013-2014 Manara Valpolicella Classico. Fourth Course: Braised Beef Cheeks, Barolo Reduction, Creamy Polenta, Gremolata. Paired with the 2010 Fabbri Olinto Chianti Classico. Fifth Course: Vanilla Panna Cotta, Blood Orange Gelee. Paired with the 2012 Salvano Trabuch Langhe Rosso, Piedmont, Italy. April 12: I will be pouring our Glenwood Cellars Wines at a wine dinner at The Boulevard Inn and Bistro in St. Joseph, Mich. The theme is California Modern and will feature five-courses and wines. Seating is limited so call 269-983-6600 to reserve your seat. April 16: We’ll be offering a Spanish five-course meal with Spanish wines for our second LEX 530 Wine & Dinner Club event. Click HERE to see the menu for this Spanish Wine Dinner and you can click HERE to buy your tickets today for $80 each! May 28: We will have a Spring-themed dinner in May. Stay tuned for more details on this exciting dinner. Guests at the March Italian wine dinner at LEX 530 in Elkhart. 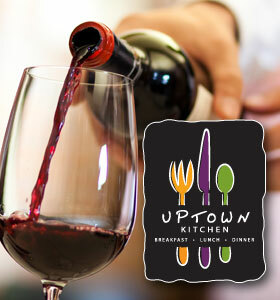 June: We are in the planning stages for a wine dinner at Uptown Kitchen in June. If that doesn’t end up maturing we will certainly have a dinner at LEX 530. September 13: I’ll be pouring our Glenwood Cellars Wines at a special wine dinner at Elcona Country Club. If you are an Elcona member or guest be sure and save the date.